On 17 December 2018, the European Court of Justice received a question on the deductibility of VAT. The case concerns the situation where a tax payer receives a discount for both local and intra-Community purchases on a single invoice. World Comm Trading Gfz (established in Romania) and the Nokia group (with its headquarters in Finland) concluded a distribution agreement based on which World Comm purchased a series of mobile telephony products from the Nokia group. The products were delivered to World Comm in Romania from Finland, Germany, Hungary, and from Romania. Nokia was VAT registered in these countries, at the time it was supplying goods in and from these countries. World Comm received a discount, on reaching a certain quantity, regardless of the location from which the Nokia products were delivered (Romania or intra-Community). For these discounts, Nokia Corporation (HQ) issued a single invoice every quarter with the minus sign and its Finnish VAT number. World Comm recorded the entire amount as an intra-Community acquisition, even if part of the goods were delivered from Romania. The Romanian tax authorities did not agree with this approach. The tax authorities state that World Comm has incorrectly adjusted the right to deduct for the entire discount received. World Comm should have distinguished between domestic and intra-Community supplies. World Comm objected to this decision, claiming that it was unlawfully denied the right to deduct VAT. 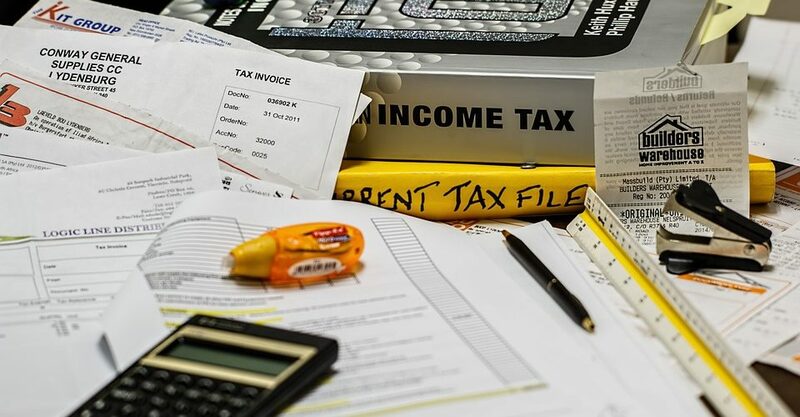 Applying the law as the tax authority does would have irreparable consequences for its tax situation, from the point of view of the principle of neutrality. Nokia had already ended its activities in Romania at the time of the tax inspection. As a result, it would no longer have had the possibility to invoice the discounts for domestic deliveries separately. 1. Can a taxable person be denied the right to deduct input VAT in proportion to the discount granted for domestic deliveries of goods on the grounds that the tax invoice issued by the intracommunity supplier shows the total discount granted both for intra-Community goods and for domestic goods delivered on the basis of the same framework contract? 2. If the answer to the previous question is in the negative: does the principle of proportionality preclude the customer from being deprived of the right to deduct VAT in proportion to the value of the total discount granted by the intra-Community supplier if the local supplier has ended economic activities and is no longer able to reduce the taxable amount of his supplies by issuing an invoice with his own VAT number, with a view to recovering the excess VAT? This case describes a fairly common situation, where a purchaser receives a bonus or a discount when certain conditions are met. A similar question also exists in inter-company situations, where the transfer price between related parties is adjusted at year-end. In this case the tax authorities take the approach that the discount is given on the earlier supplies of goods, and that (thus) the VAT must be corrected for these earlier transactions. Technically, this would mean that the supplier would have to make a distinction between the local transactions and the inter-Community transactions, and it would have to adjust the output VAT it charged on the earlier (local) sale. The purchaser would then also have to make two corrections: for the intra-Community acquisitions, and for the local purchases. On the latter it would have to pay back the VAT on the local purchases that it had deducted earlier. The tax payer takes a more practical approach. As the seller cannot make a correction to its local sales anyhow (Nokia was no longer registered for VAT when the invoice for the discounts was issued), and as there is no VAT loss for the tax authorities, it just corrected the intra-Community acquisitions. It will be interesting to see how the Advocate General and the ECJ handle this. We, of course, are very much in favour of the practical approach, and we can imagine that the A-G and the ECJ will lay a heavy weight on the argument that there is no tax loss for the authorities.